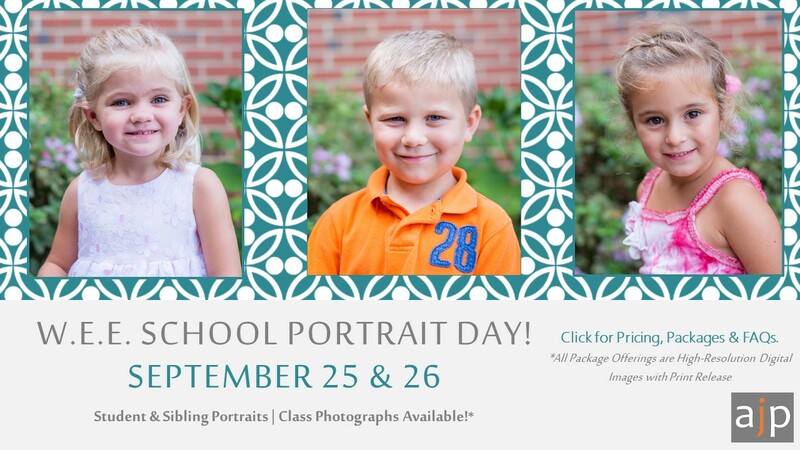 I am so excited to be partnering with the WEE School this year for your children’s portraits. Below I have included important information for your portrait day, please see details below and contact the WEE School if you have any questions! What to Expect | All portraits will be taken outside on the school’s grounds in natural light. In the event of rain, we will take pictures inside the school on a neutral gray background. You will have a few portraits and packages to choose from as well as a class photograph. If you have multiple children that attend the WEE school, we can also coordinate sibling portraits. A percentage of all sales go directly to WEE School. 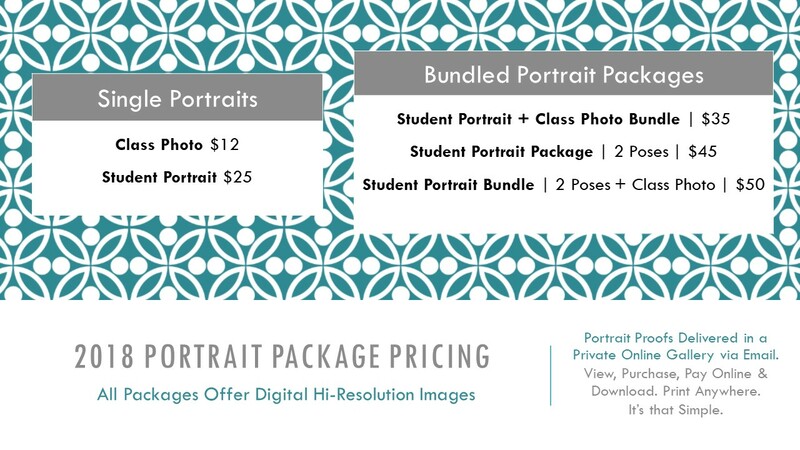 You will receive digital proofs via email within 2 weeks of your child(s) portrait day. 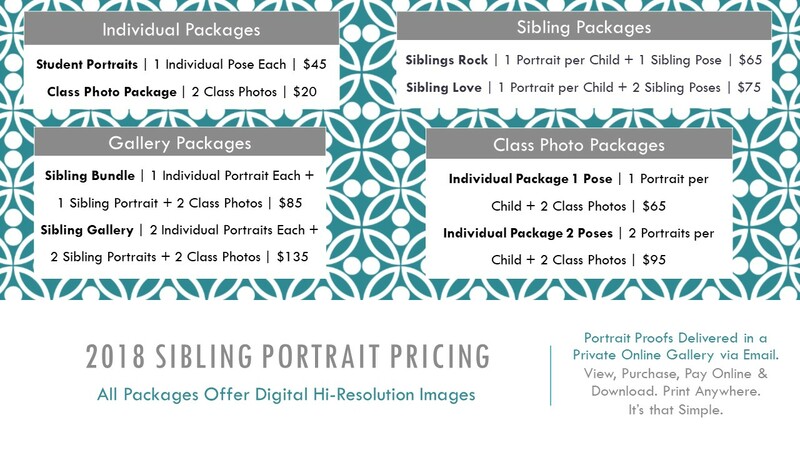 Digital Package Pricing | All prices below include digital file image(s). Once you complete your purchase you will receive an email to download your original high-resolution copy of your child’s portrait. These files can be used to print at home or at your favorite digital lab, they can also be shared electronically or used for great fun photo gifts. Digital Proofs & Private Gallery Access | You can access your gallery here or through your personal email link. All galleries are protected with a unique password that can be found in your original gallery email notification. If you have misplaced this message, please contact the WEE School. Once you view your images you will have the option to add your favorite photos to your cart. If you have any special requests or concerns, please contact alex@alexjordanphotography.com. All purchases can be completed online with a debit or credit card. If you prefer cash or check, please complete your order online and make checks payable to Alex Jordan Photography. Please send payment directly to the school in a sealed envelope. Your order will be released once payment is received. Once payment is received and your order has been approved, you will receive a notification via email that your purchase is ready for download. How long can I view my proofs? Galleries will be active for purchase until October 26, 2018. Once you complete your purchase, you have 7 days to download your image(s). How do I print my portrait I purchased? All images are high-resolution and can be printed (in any standard print size) at any of your favorite online photo stores or at your local digital photo lab. Print releases will be accompanied with all digital portrait purchases and will arrive separately in your email. How to I access my portrait once I pay for my order? You will receive an email when your portraits are ready for download, simply access your gallery and select download. All purchased images will be downloaded into a zip file, defaulted into your download folder. Images can then be extracted and saved to your designated personal computer file location. For more information on how to download purchased images, please Click Here. If you have any questions or concerns that are not covered, please contact Beth and we can work to answer your questions as quickly as possible. I look forward to working with your children and capturing their spirits at this beautiful age!